Artificial intelligence personal assistant app for Apple airpods. Create a prototype "IOT" App for an object. Develop use cases and personas for your app and design the UX and UI. PAL is your Personal Assistant Learner. 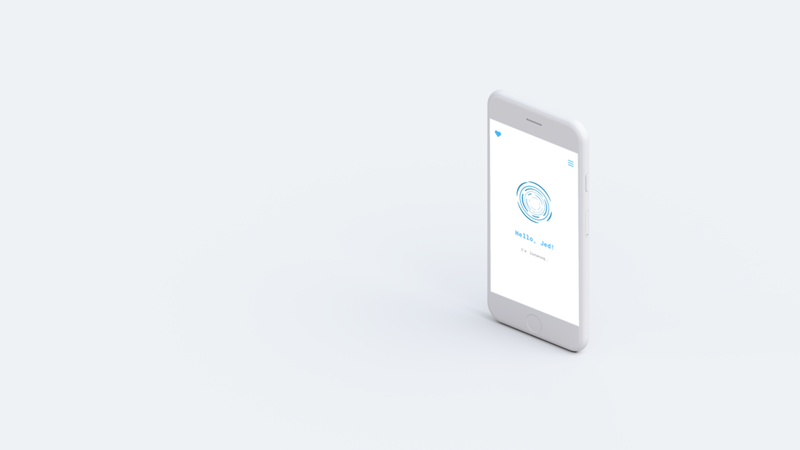 What makes PAL different from other artificial intelligent personal assistants? Its more exertive and customizable. It creates personalization for the user. With the power of the Apple Airpods it has abilities to interject into conversations, and to acclimate to the habits of the individual’s daily tasks. We began our process by creating our user personas for potential users. We decided to create three personas that represented our target market and created features based on their needs. 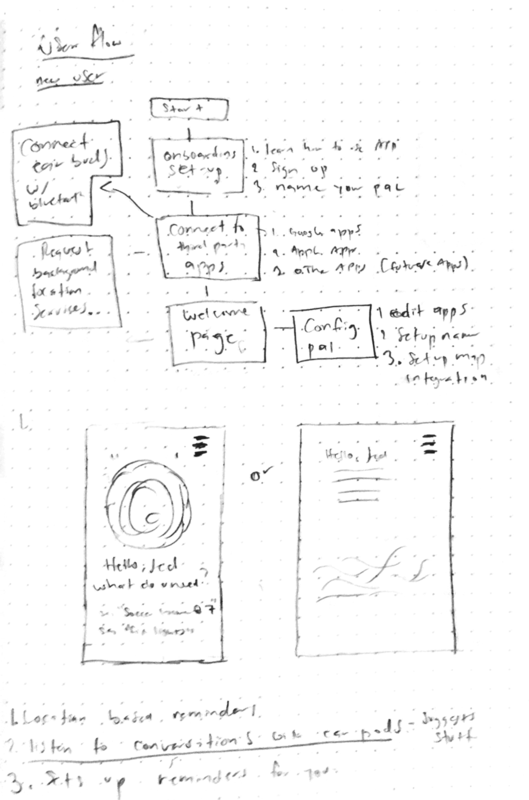 After finding out what kind of features to design, we created a site map and sketches that illustrated use cases for the users. You can read our documentation here. In my group, we discussed the possibility of the user not trusting A.I because of the negative press it might have. The onboarding process was a step by step user friendly interaction that led the user to setting up the app and the air pods together. between air pods and the user. Visualizing the interaction between the user and the air-pods was a little difficult. We needed to exemplify the interaction between the app running in the background while the user had a conversation with someone and pal interjecting.